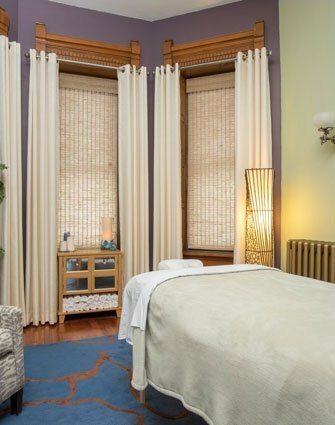 Enjoy a massage in our brand new massage treatment room. We will gladly make arrangements with our licensed therapist, Lisa Mandetta of Cloud9 Therapeutic Massage Studio. Lisa is certified in Swedish, Deep Tissue, Sports, Pregnancy, Neuromuscular, and Trigger Point therapies. You will not need to specify the type of massage you would like when making the arrangements, you’ll simply discuss your individual needs with Lisa before your session. For additional information and pricing details go to Lisa’s website www.cloud9tms.massagetherapy.com. 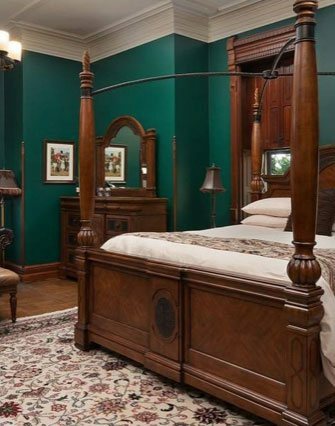 She has added availability for Reynolds Mansion guests and generally prices range from $80 – $150.